I love the sound of warm analog synth tones that are drenched in a sea of audio effects. Often in my productions, I will add life and movement to synthesizers by running them through a series of delays, choruses, reverbs, distortions, etc. The resulting sound is something entirely new, beyond the capabilities of the synth alone. It’s a great way to capture the character of a beautiful synth and add my own personal touch. Over the last month, I began sampling those FX-washed sounds and building a collection of Ableton Live Instrument Racks. The result is WASHED. Novation’s Bass Station 2 was the primary synth I bathed in a sea of audio effects to create WASHED. WASHED was made by playing analog synths through an array of audio effects, and sampling those sounds into 42 Ableton Live Instrument Racks. The starring role is played by Novation’s Bass Station 2, an unmistakably beautiful analog synth, which was recently updated for its 25th birthday with some powerful new features. In my programming of the Bass Station, I made heavy use of the oscillator error feature to emulate classic vintage sounds. 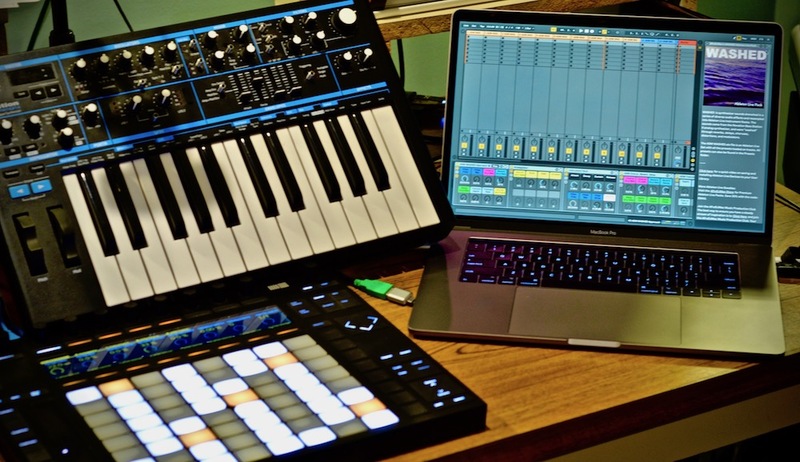 Although it is named for Bass, this synth is capable of a wide range of sound types, which are represented in WASHED’s 42 Ableton Live Instruments. The sounds of WASHED are pre-treated in effects, but you also have the ability to add your own flavors using the 25 Macro Controls. Experiment with different Amp Envelop settings to change the feeling of each sound over time. Filter the instruments with Live’s analog-modeled filters. Then add reverb, chorus, delay, and tremolo to taste. Make WASHED dance a little with the easy-to-use Arpeggiator controls. 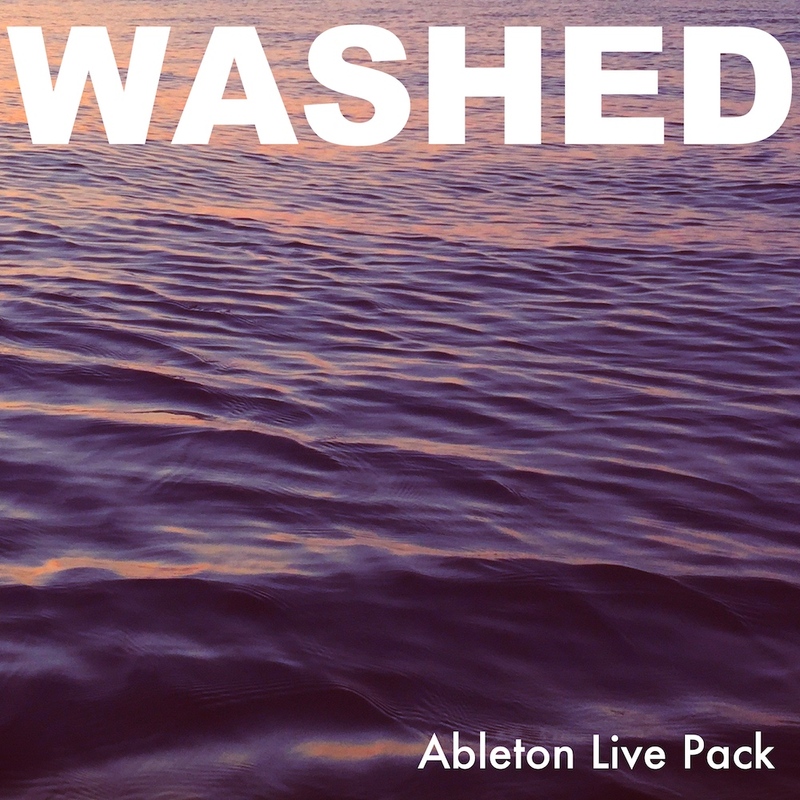 WASHED offers an array of textures and sounds that fit in any style or genre. Each sound can be altered and customized to make new sounds. I think you are going to love the sound WASHED will add to your productions! Analog synth sounds drenched in series of audio effects, and resampled into 42 Ableton Live Instruments. My friend Lynden Williams, who makes music as Divorce Court, made use of WASHED in one of his latest tracks, “Minor Thoughts.” One of my favorite things about making sounds is hearing how they find their way into YOUR music! Enjoy this beautifully chilled out track. And listen to my interview with Lynden on the Music Production Podcast.